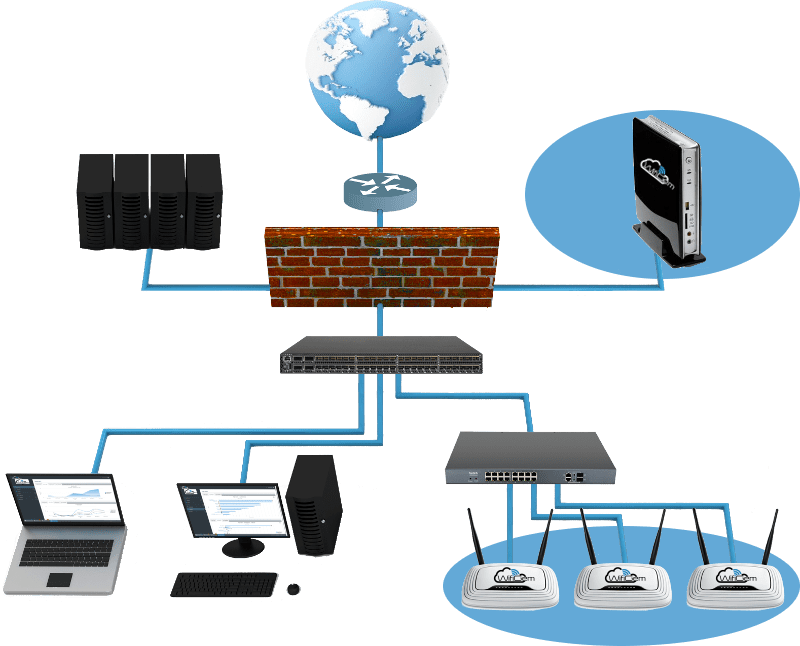 This solution usually includes one server and multiple hotspots in a pre-existing network of high complexity. 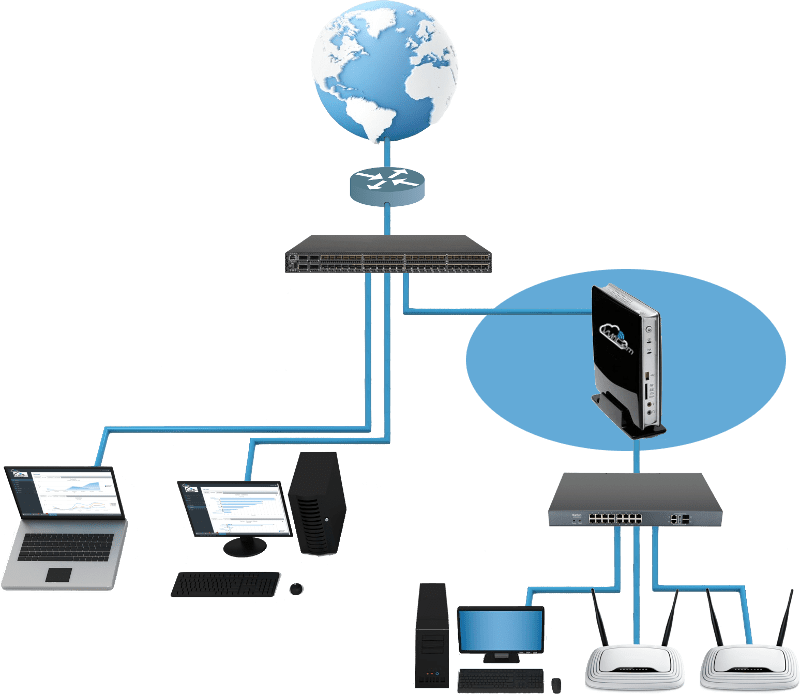 With complex network environemnts, the server can be placed in the DMZ and may be made accessible from the Internet to help you configure your system remotely. This requires you to redirect port 443 (https) from the public IP. The hotspots can be served by a dedicated switch behind a firewall. In the Bridge scheme, the server is located on the path between the hotspots and the Internet. All network traffic must pass through the server, which then must have a higher processing power than in the Standard configurations. 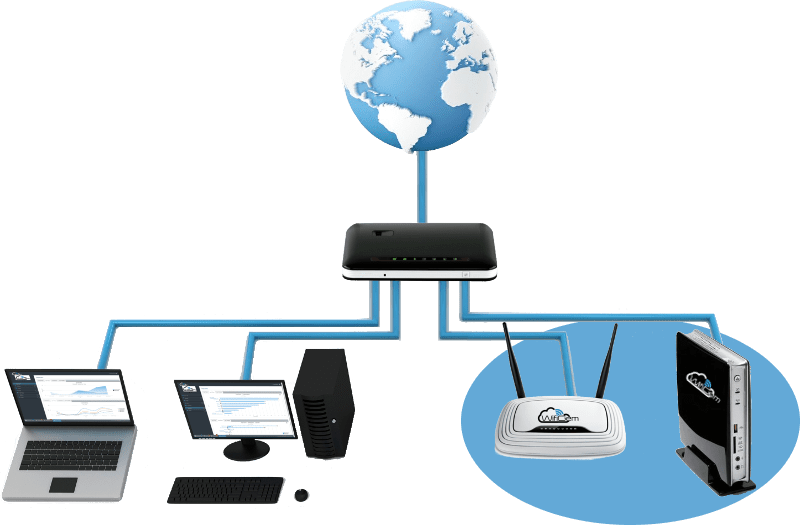 The captive portal functions are entirely contained in the WifiGem server and are guaranteed by the network configuration in bridge mode. The hotspots are standard market products, possibly pre-existing, but are not configurable from the dashboard. Behind the server it is also possible to place computers or other devices connected via ethernet cable. 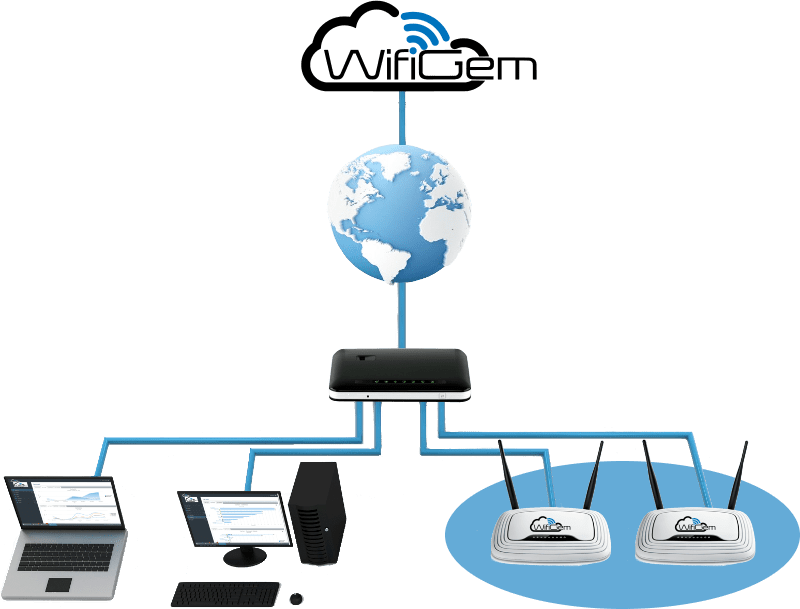 In this configuration, the server is located on the WifiGem cloud. The hotspots are placed on your local network and have Internet access. Upon each user connection request, the hoptspot sends the authentication request to the server on the cloud. The dashboard also resides on the cloud.